OVERVIEW OF “STRENGTHENING STATUTORY REGULATIONS FOR CIVIL SOCIETY ORGANISATIONS IN NIGERIA: AMENDING PART C OF CAMA” SUPPORTED BY THE COMMONWEALTH FOUNDATION. Activities for the third and final phase of the commonwealth foundation project began on January 9, 2019 with the publishing of a newsletter titled; “The Part F of CAMA and its implications for Nigerian NGOs” This newsletter was produced to sensitize the civil society community on the new and efficient way of registering organisations with ease, minimizing compliance burden of non-profits as well as small and medium enterprises (SMEs) to bring Nigeria’s foremost commercial law in line with international best practices. The second newsletter published in February focused on how NGOs incorporate trustees and their board of directors; it also stated the governing role of the board of trustees to ensure smooth operations and running of their non-profits. This learning was important in order to help nonprofits understand the role of their board and how best to appoint appropriate persons to form their board. The third newsletter published in March paid particular attention to the filing of annual returns; stating the need to file and the advantage a nonprofit enjoys by filing annual returns with the Corporate Affairs Commission. Part of what was included in this newsletter were penalties attached to noncompliance and non-filing of annual returns as and when due. In the next quarter, compliance workshops will be organised by NNNGO in different geopolitical zones across the country. The “Compliance Trainings on the Part F of CAMA” are a set of workshops designed to provide a comprehensive grounding on how to set up systems and procedures for complying with nonprofit regulatory requirements and holistically drive organisation wide-performance. The workshops will hold in four locations in different parts of Nigeria and provide a thorough grounding on how governance and financial systems are developed, implemented and comprehensively utilized to drive compliance across organisations. Attendees will benefit from case study examples of how this process can be achieved. This interactive workshop format will enable a combination of learning and peer-to-peer experience sharing among our members. Part of activities for the second quarter include correspondence with newly-elected legislators while focusing on the need to create relationships based on mutual understanding and commitment towards providing an enabling environment for Nigerian nonprofits. OVERVIEW OF “IMPROVING ENGAGEMENT AND COMMUNICATION AMONG NNNGO AND ITS MEMEBRS” SUPPORTED BY FORUS. 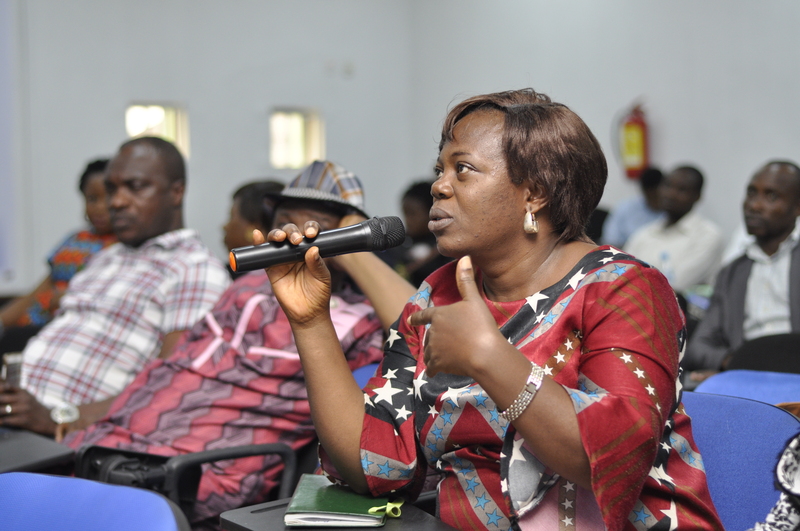 The Nigeria Network of NGOs embarked on a communication needs assessment consultation with members of the Network to ascertain their preferred communication tools in receiving updates from the network. This was done with an aim to engage, inform and share information, as well as build capacities based on the communication tools that can be easily accessed. This will further enable the Network to ensure that information shared with its members are received and read with necessary actions taken and also members are able to provide feedback, inputs and make enquiries with ease. 372 members of the network were reached and subsequently provided valid responses, with a coverage on the 6 geo-political zones -34 states and the FCT. Results show that member organisations preferred the use of EMAIL as a primary media for information dissemination. Awareness on the Istanbul Principle has started among members of the Network with the development and circulation of info-graphics on the principles. Also, four newsletters have been published focused on issues ranging from the need to effectively understand the Istanbul Principle to grants and opportunities for Nigerian nonprofits. The design and deployment of the NNNGO App is ongoing and advancing towards the grand launch by May 2019. A capacity needs assessment survey questions; the Nonprofit Assessment Tool (NOPSAT) was developed in the first quarter. The aim of this assessment is to identify the areas of non-profit member organisations that needs strengthening and tailor their needs in the Networks capacity building workshops and toolkits. NOPSAT is a tool that helps non-profits analyse their strengths and weaknesses to know the capacity needs of their organisation. It measures the governance strategy and structure, human resources and administration, programme management, monitoring and reporting along with its financial management and sustainability of your organisation. Plans for the validation workshop based on the need’s assessment is ongoing as the Network collates more responses from member non-profits. It is quite distressing, harrowing and mortifying for a child’s right to an amazing life to be decided upon even before their presence on earth. Down Syndrome is a stigma, segregation and a limited life opportunity in most parts of the world and it is rather unfortunate that this is the lime life has given to people living with this disorder. Down Syndrome is named after the English Doctor, John Langdon Down, who was the first to categorize the common features of people with the condition. It is the most frequently occurring chromosomal disorder and the leading cause of intellectual and developmental delay in Nigeria and in the world. Today the average lifespan of a person with Down Syndrome is approximately 60 years. This chromosomal disorder is caused when an error in cell division results in an extra 21 chromosomes. Through a series of screenings and tests, Down Syndrome can be detected even before or after birth, which is 1 in every 700 pregnancies. Determined by many factors, research suggests there is a higher risk if the mother delivers at over 35 years of age. Research also reveals that before the age of 30 years, fewer than one in 1,000 pregnancies will be affected by Down syndrome. After the age of 40 years, this figure rises to about 12 in 1,000. Hence to ascertain the possibility of giving birth to babies with Down syndrome, during the pre- natal period, two types of procedures are available to pregnant women: screening tests and diagnostic tests. The screening tests estimate the risk of the baby having Down Syndrome while the Diagnostic tests tell whether or not the baby actually has the syndrome. The estimated incidence of Down Syndrome is between 1 in 1,000 to 1 in 1,100 live births worldwide. According to UN, DS causes intellectual disability and associated medical issues. Sierra Leone, a country in West Africa records the highest mortality rate from DS with 3.8 per 100,000 people in 2013. In Nigeria local communities believe that all defects or early deaths which may occur in children with DS is traceable to parental misdeeds or links between the child and the evil world. 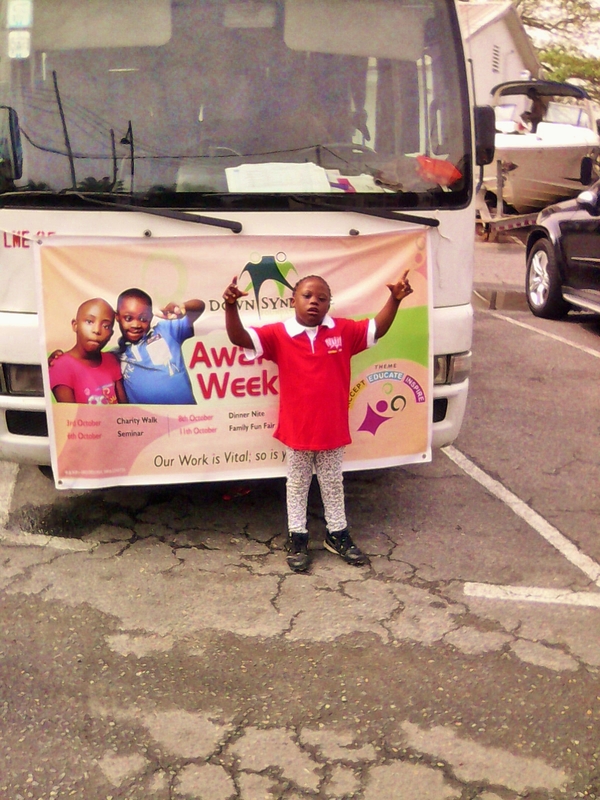 While the myth is most untrue, studies of Down Syndrome covering a period of 9 years have revealed an incidence of 1 in 865 live-births in Nigeria. Older women are more likely to give birth to a child with Down syndrome. Where there should be two copies of every chromosome. In Down syndrome, there are three copies, either complete or partial, of chromosome 21. The characteristics of Down syndrome include low muscle tone, short stature and a protruding tongue. Screening tests can be used during pregnancy to estimate the probability that a child will have Down syndrome. The most common form of Down syndrome is known as trisomy 21, a condition where individuals have 47 chromosomes in each cell rather than 46. *Trisomy 21 is caused by an error in cell division called nondisjunction. This leaves a sperm or egg cell with an extra copy of chromosome 21 before or at conception. This variant accounts for 95 percent of Down syndrome cases. *Mosaic Down syndrome is when some cells in the body are normal while others have Trisomy 21. *Translocation Down Syndrome is caused by rearranged chromosome material. There are three 21 chromosomes just like there are in trisomy 21, but one of the 21 chromosomes is attached to another chromosome, rather than being separate. Every cell in the body contains genes that are grouped along chromosomes in the cell’s nucleus. There are normally 46 chromosomes in each cell, 23 inherited from the mother and 23 from the father. When some or all of a person’s cells have an extra full, or partial, copy of chromosome 21, the result is Down syndrome. 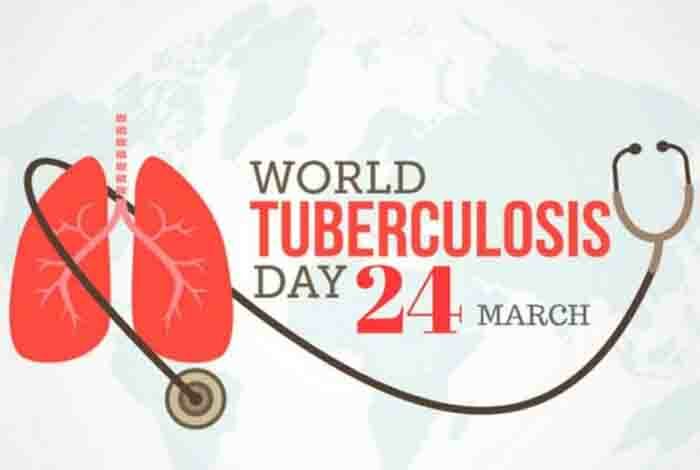 There may be higher risk of: respiratory problems, hearing difficulties, Alzheimer’s disease, leukemia, epilepsy and thyroid conditions. There are treatments for Down Syndrome but sadly, there is no cure. Treatments and care are available, however the steps could be utterly frustrating especially with the challenges attached, but with early intervention immediately after birth, the challenges will not be too overwhelming. Hence, appropriate medical care, emotional, psychological and educational care are required from physicians to special tutors, speech therapists, occupational therapists, physical therapists, and social workers, who can come to their aid, by preparing them so they can have equal opportunities for fulfilling lives while ensuring they are not left behind by taking active roles in the society. With the aim to LEAVE NO ONE BEHIND while ensuring that people with Down Syndrome have equal opportunities to a rewarding and a fulfilling life, NNNGO’s Olaife Ilori, on World Down Syndrome Day, spoke with Grace Bakare, Author of THE PLIGHT OF PARENT RAISING CHILDREN WITH DOWN SYNDROME and Founder, Dewdrops Care Development Foundation. 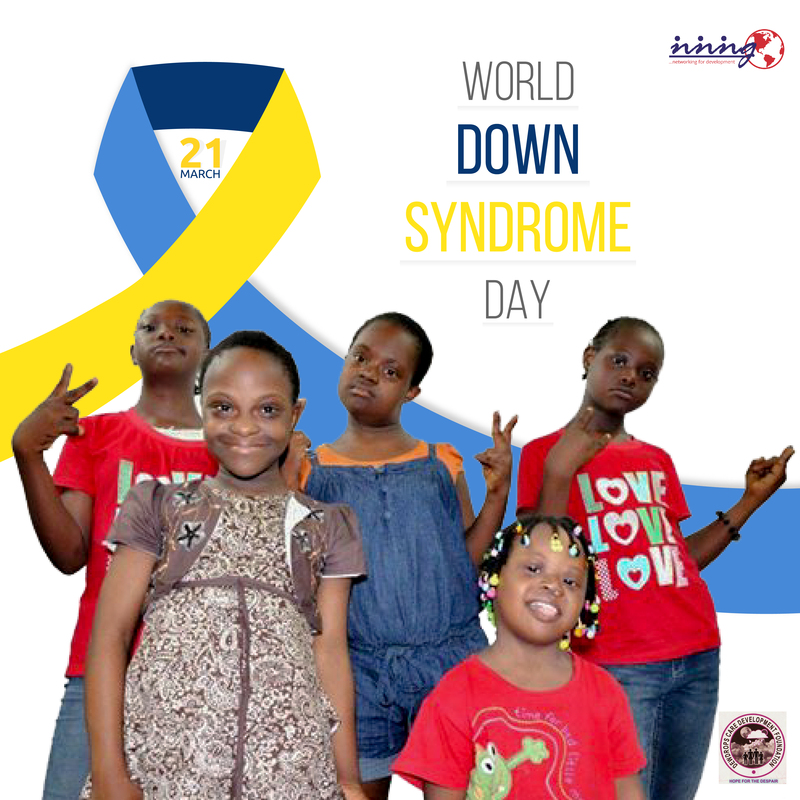 Down syndrome is a common birth defect that is caused by an extra chromosome 21 (trisomy 21). It causes mental retardation, a characteristically facial appearance, and multiple malformations. It is a genetic disorder caused when abnormal cell division results in an extra full or partial copy of chromosome 21. Down syndrome occurs in approximately 1,700 live births. Abnormalities are varied from individual to individual, common features include; flat face with short nose, prominent skin folds, and small low-set ears. While doctors are not sure why there is this birth defect with the extra chromosome 21, statistics show that women of 35 years and above have a higher chance of having a baby with Down syndrome. Normally, each cell in our body has 23 pairs of chromosomes. One chromosome in each pair comes from the mother while the other comes from the father. In Down syndrome, there are three copies, either complete or partial, of chromosome 21. HAVE PARENTS DONE ANYTHING WRONG TO HAVE THEIR BABIES BORN WITH DOWN SYNDROME? There is no link to anything in the environment or anything the parents did or did not do. If one has already had a child with Down syndrome, it is most likely to have another. It is not common, but it is possible to pass Down Syndrome from parent to child. Sometimes a parent has what experts call ‘’translocated’’ genes. That means some of their genes are not in their normal place. SOME PEOPLE BELIEVE DOWN SYNDROME IS CONNECTED WITH SOME VOODOO OR DARK POWERS, HOW TRUE IS THIS MYTH? Down syndrome has nothing to do with black magic, dark powers, or voodoo. There is no evidence to-date that it connects DS to do any shadowy, indistinct and nebulous folk tales. IS IT OKAY TO ABORT THE BABY IF PRE-NATAL TESTING REVEALS THE CHILD IS DOWN WITH THE SYNDROME? I believe it is not okay. It is an abortion which is seen as grave sin in my family. Some people believe terminating the pregnancy after early pre-natal diagnosis is right while others in the religious and anti-abortion group believe it is a sin. In the United States each year, more than 6,000 babies with Down syndrome are born, according to the National Down Syndrome Society, however, almost none are born in Iceland, that is because nearly 100% of women in Iceland who receive a positive test for Down syndrome choose to terminate the pregnancy. In fact the law permit abortions after 16 weeks if the foetus has a deformity. Iceland is not alone in having high termination rates. In Denmark, 98% of pregnancies with a Down Syndrome diagnosis are terminated. In France, it is 77% while United States reads 67%. In Nigeria Down Syndrome families are divided over aborting at pre-natal testing, but major cases of Down Syndrome births are not reported because of the traditional belief that are still associated with witchcraft. WHICH PARENT DOES DOWN SYNDROME COME FROM? It could either be from the father or the mother or from both, but it is widely believed that the gene is from the mother. It is a common knowledge that when women age, so are their chances of having a baby with a genetic abnormality. The most common form of Down syndrome is known as trisomy 21, a condition where individuals have 47 chromosomes in each cell instead of 46, Trisomy 21 is caused by an error in cell division which leaves a sperm or egg cell with an extra copy of chromosomes 21 before or at conception. HOW WILL A CHILD WITH DOWN SYNDROME AFFECT THE IMMEDIATE FAMILY? Having a child with Down syndrome will affect everyone in the immediate family, most especially young couples. When faced with life’s complexities, one is rendered speechless. At the birth of my daughter Oluwafemi Bakare, my husband was almost questioning my fidelity. ‘’Are you sure you have not been having extra marital affairs? I hope you are not cursed? These are some of the battalion questions my husband asked, while I kept pondering over my entire past misdeeds and judging myself. Whether you are an Agnostic, Atheist, Christian, Ethicist, Hindu, Jew, Moslem, Pagan, etc. you sometimes arrive at a point where you question your belief and wonder if the alternative is a better choice. It is at this point you would ask, “how do I speak with an angel?” an angel of any faith that will give you an answer. How does someone raise a child with Down syndrome and remain sane? How? How does one deal with the long therapy sessions and the bills that come with it? Is it their educational progress or skill acquisition as the case may be? This makes it even more challenging because of the birth defects. Indeed, having a child with Down Syndrome will create a lot of challenges, that is if it does not break the marriage sef. Down Syndrome is non-infectious or contagious. It only affects the one who has it. It is congenital which means, a person is born with it. No one gets Down Syndrome later in life. It is one of the most common genetic birth defects that happens to a child. DO YOU THINK THE SOCIETY EMBRACES/ACCEPTS PEOPLE WITH DOWN SYNDROME? In some parts of Nigeria, children with Down Syndrome are still hidden and locked behind closed doors for some parents are ashamed of taking them out. But recently, attitudes towards Down Syndrome have shifted considerably. Before now, children with Down syndrome were automatically institutionalized and many of them died due to some health-related challenges. But in the latter part of the 20th century, advocacy for people with Down syndrome has been significantly pronounced, children with Down syndrome have begun attending general public schools, have professional jobs and families which has made them a whole lot more independent. The life expectancy for people with Down syndrome has also increased significantly in recent times. ARE THERE SPECIAL PROGRAMMES FOR CHILDREN WITH DS WHICH WOULD HELP THEM BECOME INDEPENDENT IN ALL SPHERES OF THEIR LIVES? The most important influence on early development is daily interaction and activities with families. Families are encouraged to access early learning and intervention services that are available from infancy. This will support the development of some of the most important early childhood skills. Early intervention programs are helping children reach their potentials, with this in line, they can graduate to post school training or tertiary institutions. AS A PARENT OF A DOWN-SYNDROME CHILD, HOW DID YOU RECEIVE THE NEWS AND HOW DO YOU COPE WITH TOUGH DAYS? 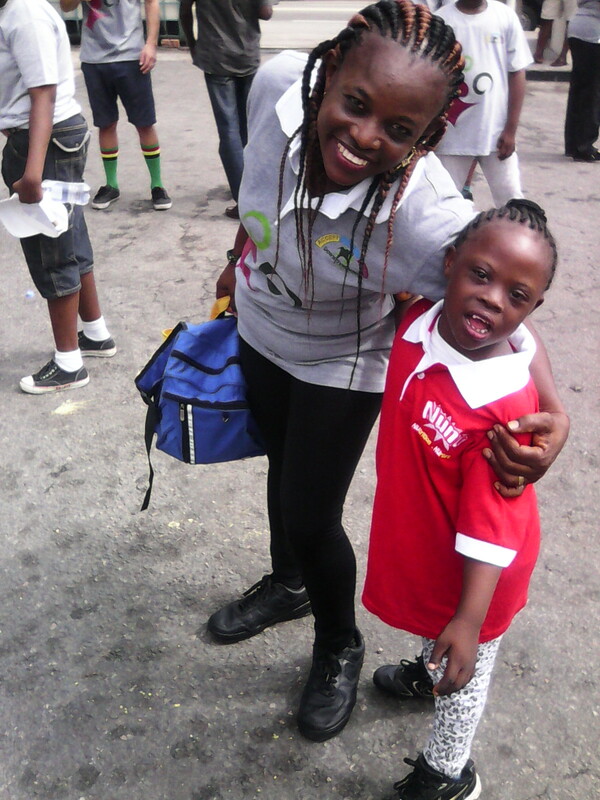 When I learnt that my baby had Down syndrome, I was shocked. Twelve years later, I look back and wish I could have encouraged myself much more than I did. Upon receiving my daughter’s prenatal diagnosis, I remember feeling a sense of soul-crushing hopelessness. Hopelessness of what my daughter’s life would be like. Hopelessness of what the diagnosis meant for me as a parent. Hopelessness of how different our family would be from the one I had imagined. I was changed forever with the news of having a daughter with Down syndrome. Today, looking back, I have come to replace that anxiety, sorrow and anger with strength, courage, dignity and determination. There was that stereotyped thought linked with DS; I imagined a life of zero potential, a life spent trapped in a corner unable to have a fulfilling life. An imagination which turned out exactly the opposite. Even during very trying days and I feel like giving up, Grace, my daughter with her beautiful almond-shaped eyes and captivating smile makes all the challenges surmountable. WHAT WORRIES YOU ABOUT HER FUTURE? What worries me about her future is in the area of marriage. The day she will leave me to stay on her own, who will be there for her like I do. But I know she will do just fine with or without me. Yes, there are treatments for Down syndrome. Early intervention programmes with a team of therapists and special educators who can treat each child’s specific situation are helpful in managing Down syndrome children. Down syndrome cannot be cured. However, early treatment can help many people with Down syndrome have productive lives. Children with Down syndrome can often benefit from speech therapy, occupational therapy and exercises to help improve their motor skills. WHAT IS THE LIFE EXPECTANCY OF PEOPLE WITH DOWN SYNDROME? With appropriate medical care, most children and adults with Down syndrome can lead healthy lives. The average life expectancy of individuals with Down syndrome is 60 years with many living into their 60’s and 70’s. WHAT ADVISE DO YOU GIVE TO THAT FAMILY WITH A DOWN SYNDROME CHILD AND TO THAT DOWN SYNDROME CHILD WHO WISHES TO EXCEL IN LIFE? A most useful advice I can give to a family with Down syndrome child is to learn as much as possible about the chromosomal disorder so they can deal with it squarely. Parents can also join an online parent forum or attend different seminars about living with a child with Down syndrome. And as the child grows, you can work with different therapists who would help improve their skills. To that Down syndrome child who wishes to excel in life, I will preach FAITH, HOPE and DETERMINATION. Irrespective of any jest or bully made out of the child, he must keep the vision of where he is going vivid and alive, having it at the back of his mind that abilities abound in disabilities. In the second quarter of the year 2018, the Nigeria Network of NGOs, in line with its mission and vision, intensified efforts towards national development through its ongoing projects and activities. Projects built upon were within the purview of protection of civic space, building capacity within the Nigerian civil society community and attainment of the Sustainable Development Goals (SDGs) while other activities in line with national development were also organised and supported by the Network. In line with its mission to protect civic space, the Network continued work on projects that focused on strengthening the laws that guide activities and the environment in which civil society organisations and nonprofits work. Therefore, with the support of the Commonwealth Foundation and as part of activities for the “Strengthening Statutory regulations For Civil Society Organisations In Nigeria: Amending Part C of CAMA” project, and in the wake of the repeal and enactment of Part C of the CAMA by the House of Assembly on May 15, 2018, NNNGO carried out activities that informed the progress of the project. After careful review of the amended sections of Part C of the CAMA which was spearheaded by the Corporate Affairs Commission, the NNNGO-CAMA research team identified that the amended laws had featured and incorporated some of the recommendations made by the Network and its members at sector-wide consultations held in 2017. 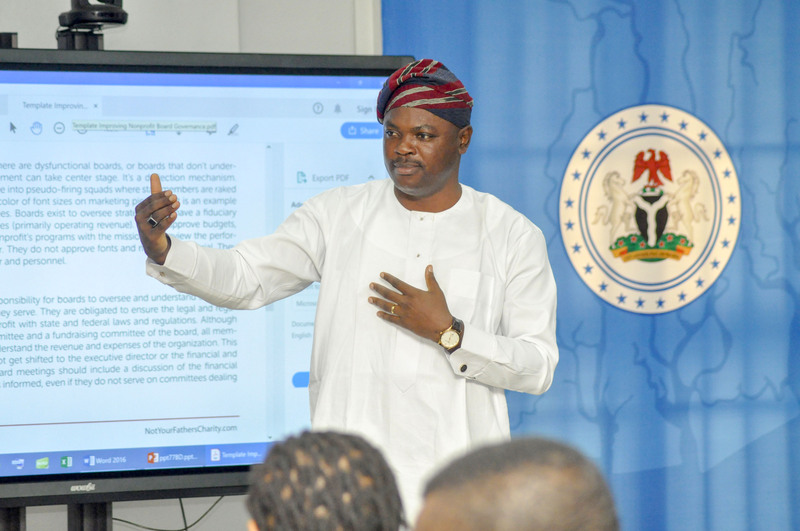 Suggestions and recommendations that were made at these consultations were thereafter incorporated into policy briefs which were then presented to policymakers by the NNNGO-advocacy team led by the Executive Director, Oyebisi B. Oluseyi. Section 580 features the need for the commission to state the purposes, name and relevant information needed for registration by NPOs who need registration. This amendment drew from the suggestion made by NNNGO to 590(5) of the previous law. In line with suggestions made by member-NPOs who participated in the consultations, Sections 581, 582 and Section 604, subsection 3, feature review of fines from previous incommensurate amounts in terms of comparison of crime to penalties. NPOs who attended consultations hosted by NNNGO had suggested that in order for organisations working in the civic space to better understand the enormity of noncompliance, adequate punitive measures need to be attached. Section 587 of the amended law is same as the suggestion made in subsection (6) of section 590 of the old law which stated that a corporation having a similar name with another corporation would not be incorporated. The amendment to the law makes this dictate clearer to intending registrees. Amended Section 602 is same as the suggestion made to section 607(10)2,3 by the NNNGO in the policy briefs presented which stated that there should be an annual financial review and that there should be an approved annual financial statement by the director. In addition, Section 604, subsection 2 of the amended law features the recommendation made to section 607(11)1 by NNNGO where it was stated that there must be a report on the audited financial statement by the corporation which will be in line with the approved auditing standards and principles set by the Financial Reporting Council of Nigeria. Another milestone recorded in this quarter was the development of a toolkit by the NNNGO-CAMA research team. The toolkit was developed after a thorough review of the annual returns-filing processes, conduct of in-depth research and online as well as offline consultations with over 2,000 Nigerian NPOs on how best to engage the process of incorporating a trusteeship alongside appropriate fees, setting up a governing board within an organisation and appointing an executive director and directors. The purpose of developing the kit is to create a document which can serve in the capacity of a compliance manual through which NPOs could better understand the dictates of Part C of CAMA and therefore, effectively carry out their obligations and duties as stipulated in the laws. The kit is also intended to act in the capacity of a check for NPOs in order to effectively run their organisations in line with global best practices. The toolkit will be launched and presented to NPOs who are member-organisations of the Network at training that will be hosted in Port Harcourt and Kaduna. In continuance of the campaign to protect civic space and strengthen regulatory frameworks guiding the operational environment of Nigerian nonprofits, NNNGO with the support of World Alliance for Citizen Participation, CIVICUS continued its campaign against the NGO regulation bill (HB 585). The Network intensified efforts to popularise the campaign by leveraging on the strength of numbers. This was done by including other CSOs, NGOs and NPOs, especially those at the grassroots; to achieve this, over 2400 grassroots, national and international nonprofit organisations were reached via emails and text messages with over 900 reached via telephone calls with the message to join the campaign against the enactment of the NGO regulatory bill. These organisations were encouraged to reach out to their representatives at the National Assembly by sending them letters which would carry their individual messages regarding the bill. To this effect, interested NPOs were sent a sample letter which served as the campaign tool. This a sample campaign letter was drafted based on the outcome of a sector-wide consultation conducted by the Network with nonprofit organisations operational in Nigeria in 2017. The sample letter was a template through which NPOs interested in the campaign could make a case by giving their representatives an overview of their organisations and how the enactment of HB585 would impact the work they do. As part of activities for the lifeline project, the Network, on June 28, 2018, organised a workshop which 78 participants from 11 states of the country, and one participant from the United States of America. The aim of the workshop was to examine the trending policies in the Nigerian nonprofit sector while focusing on ways to ensure the development and sustainability of the sector. Participants at the workshop were taken through a course on NGO management and record keeping. A report titled “Nonprofits Regulatory Trends” was then produced. In the first quarter of 2018, NNNGO, supported by CIVICUS, submitted a Universal Period Review (UPR) relating to Civic Space in Nigeria. Following this submission and in the run-up to Nigeria’s review at the United Nations Human Rights Council, UNHRC in November 2018, NNNGO embarked on advocacy in relation to the UPR process. The aim of this was to assess the level of implementation of previous recommendations made to Nigeria by UNHRC during the second review cycle and to take appropriate steps toward the implementation of recommendations accepted by Nigeria especially in relation to civic space. Therefore, a one-day workshop on the Universal Periodic Review (UPR) Advocacy Strategy was hosted by the Network on June 6, 2018, in order to sample the opinion of CSOs. The workshop gathered seventy-one (71) participants comprising member non-profit organisations of the Network, CSOs, and Centres for developments, actively involved in human rights activism. To this effect, an agenda was mapped out and delineated into four key areas. The purpose of this was to incorporate the key essentials of the UPR and garner participants’ responses and feedbacks, according. An overview which included insights on the previous (2nd) UPR of Nigeria was provided by the NNNGO-UPR researcher; it included information on the reinstatement of the 219 recommendations by 88 states made to Nigeria; 184 were accepted and 35 were noted. Accordingly, Nigeria received 10 recommendations relating to civic space, all of which were accepted to be implemented. Furthermore, an analysis of the recent UPR report was carried out and participants noted that the methodology is adopted for the research. It was also noted that the initial 10 recommendations received by the Nigerian government in the previous UPR relating to civic space had not been fully implemented. Insights on why it was important for the civil society to be actively involved in the UPR process were therefore made. A break-out session was then held for Advocacy Strategy Planning. Here, participants were split into four groups to develop a strategic plan for the UPR using the SMART Advocacy Strategy Worksheet. In this brainstorming session, participants provided answers on who to involve in implementing the strategy, their SMART objectives, identified the policymakers related to their set objectives, reviewed their context on what is already happening outside their organisation that may impact their strategy (presenting obstacles and opportunities), gave a better knowledge of their decision makers (i.e. what they value and how best to gain their support), they considered various ways to argue their case (providing evidence to support their objectives, completing a five-point message box for their decision makers and determined the messenger for each decision maker). A work plan and budget on how to access internal resources, specify advocacy activities and assign responsibilities; how to set benchmarks for success and concluded by reviewing assignments and next steps on how to implement the UPR were also drawn up at the workshop. The breakout session ushered in the plenary session, where participants presented varied views on how best the advocacy strategy should be carried out. The workshop concluded by affirming the need for all stakeholders especially CSOs and NGOs to be actively involved in the UPR process to ensure the rights of people are not clamped down and the government implements the accepted recommendations through advocacy and awareness creation. As part of its work on Sustainable Development, the Nigeria Network of NGOs with the support of African Monitor continued implementation of the citizens’ report project. In the second quarter of 2018, the NNNGO team which comprised a focal point, four youth champions and a research consultant embarked on citizens’ hearings and survey in three communities from three states across the country. Between June 1-3, 2018, the NNNGO team conducted a community entry and project launch in Malete community, Moro LGA of Kwara state. This was a reconnaissance visit to the community by the team aimed at introducing the project to leaders of the community and providing a general framework for implementation of the project. On June 11, 2018, a citizens’ hearing in form of a Focus Group Discussion (FGD) was conducted on 72 community members of Malete community while the survey was conducted on 200 households within that community between June 12 and 15, 2018. Reconnaissance for the second community, Ogor community in Ughelli-North LGA of Delta state was conducted between June 18-19, 2018 while the citizens’ hearing was conducted on June 26, 2018. Survey instruments in form of the questionnaire were administered to 200 households within the community by the NNNGO team between June 26- 30, 2018. In the first quarter of 2018, NNNGO with the support of development Research and Projects Center (dRPC) began implementing the PACFaH@Scale (PAS) project under the NNNGO-PACFaH@Scale (NNNGO-PAS) brand name. The program which focuses on two areas; RI Financing Strategy & FP Funding in Lagos state was launched with the hosting of a CSO mapping meeting in the first quarter of the year. After the success of a CSO mapping conducted in view of incorporating the civil society into RI issues in Lagos state, a report was developed. 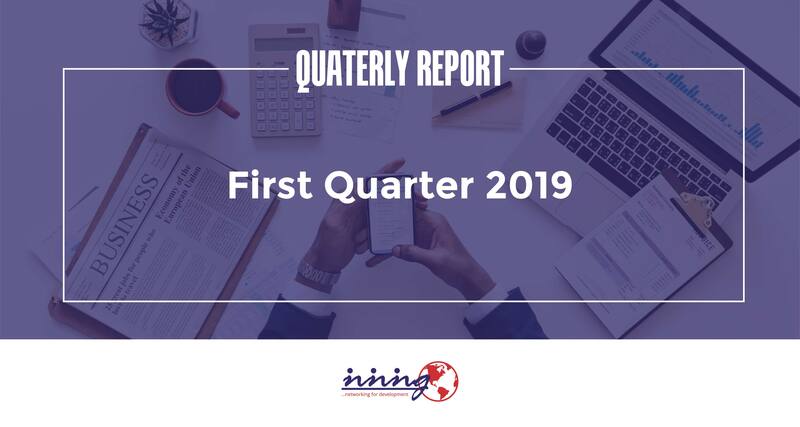 The second quarter of 2018, thus featured the production of the CSO mapping report as well as Policy Briefs on RI and FP funding. These documents were developed as part of advocacy tools to be used in monitoring the implementation of the RI 2018 budget. Subsequently, the NNNGO-PAS Policy briefs on RI and FP funding in Lagos State were presented to the Director Medical Services, Lagos state and other key officials in the Lagos State Primary Healthcare Board (PHCB). As part of activities included in the NNNGO-PAS workplan, the team also provided support to the LSMOH and LASAM Advocacy sub-committee in tracking the implementation of the 2018 RI Budget and obtained the commitment of top officials in the Lagos State Primary Health Care Board to attend the meeting with NPHCDA on the New GAVI Strategy Plan in Abuja and encourage closer working relationship between LSPHCB and the NPHCDA. In a bid to create more visibility for the project, NNNGO-PAS program team led by the Program Officer, Ayo Adebusoye appeared on Talk time on Morning Delight on the Lagos state television on April 4, 2018, to speak on the theme, Nigeria’s Health Infrastructure -Need for State of Emergency with the aim of creating awareness about challenges bedeviling the Nigerian health sector and beaming the torch on the activities of NNNGO-PAS. On April 27, 2018, the Program Officer, again presented a paper at a Media Roundtable program hosted by Lagos State Accountability Mechanism for Maternal and Newborn Health, LASAM with the theme, “FP Budget Allocation & Timely Release – The Great Imperative “. The paper focused on the need to increase awareness on issues relating to routine immunization and family planning as well as advocate the timely release of FP and RI budget allocations. All activities embarked upon during this quarter were in furtherance of projects which began implementation between Y2016, Y2017, and Y2018. While there are success stories recorded in the course of implementation, the past four months have only proven that more work is needed in various areas to ensure eventual success for the projects. Part of what was learned during this quarter was the need to further intensify efforts, leverage on existing partnerships and cultivate new ones in order to ensure continuity and sustainability. Lagos, January 9, 2017—The Nigeria Network of NGOs representing over 2,000 not-for-profit organisations in Nigeria welcomes the decision of President Muhammadu Buhari to reconstitute the Financial Reporting Council (FRC). The Nigerian Not-for-Profit sector was upset yet again by the actions of the FRC in releasing the Not-for-Profit Organisations (NFPO) Code in October 2016 despite earlier submissions to the Council on the need to ensure robust engagements with the wider civil society community before the code is released. By this singular act the President has shown our sector and the world that it stands ready to uphold the protection and strengthening of civic space in Nigeria. We have seen around the world and at an alarming rate efforts by various governments to restrict the operational space for civil society through laws, policies and practices to limit the ability of people to come together to act for a just world. Our sector remains guided by the ultimate believe that a robust governance system is extremely positive, for both not-for-profits and wider society. In recognition of the impact and contributions of our sector to the growth and development of the nation’s economy, we call on President Muhammadu Buhari and the Minister of Trade and Investment to ensure that the civil society community is included in the process of nominating members of the Council since there is a code released by FRC for the not-for-profit sector too. As a Network, we hope to continue to use our organizational capacity – including convening power, community management excellence and insight generation to engage with the FRC and its new leadership on the NFPO Code. CIVICUS, the global civil society alliance and the Nigeria Network of NGOs (NNNGO) are deeply concerned about impending legislation to restrict freedom of association in Nigeria. Nigeria’s National Assembly is currently considering a bill to provide for “the establishment of the Non-Governmental Organisations Regulatory Commission for the Supervision, Coordination and Monitoring of Non-Governmental Organisations, Civil Society Organisations etc. in Nigeria and for related matters.” First introduced in July 2016, the bill has since passed through the second reading in the House of Representatives. The bill has now been referred to the Committee on CSOs and Development Partners for further legislative input. “The bill is in conflict with Nigeria’s Constitutional and international law obligations,” says Oyebisi Oluseyi, Executive Director of NNNGO. “We must instead strengthen civic space in Nigeria, as our sector’s role in finding solutions to the enormous challenges facing our nation cannot be overemphasized”. CIVICUS has expressed solidarity with Nigerian civil society, which is deeply opposed to the bill’s provisions on grounds that the operations and finances of NGOs are already regulated by seven legal frameworks and overseen by five government agencies. This was emphasised in a peaceful protest taken to the Lagos State Governor at the Lagos House on 28 September 2016 by civil society organisations from different parts of the country. One of the problematic provisions in the proposed bill is the mandatory requirement for NGOs to seek permission to operate in the country. This is in contrast with best practices issued by the United Nations Special Rapporteur on the Rights to Freedom of Peaceful Assembly and Association, which underscore the right to form and join an association, including an unregistered association. The proposed government dominated NGO Regulatory Commission would be empowered to “facilitate and coordinate” the work of all national and international NGOs, as well as to provide policy guidelines to harmonise their activities in line with the National Development Plan determined by the government. Civil society organisations are concerned about the amount of control this would give to the government-aligned Commission, and civil society ability to operate independently. The bill also seeks to exercise operational control over projects implemented by NGOs by requiring them to seek prior permission from the ministry relevant to their area of work. The legislative brief of the bill introduced by the Deputy Speaker of the National Assembly emphasises the intention to establish a National Council of Voluntary Organisations to develop a code of conduct for the regulation of the civil society organisations on matters relating to their funding, foreign relations, national security etc. CIVICUS and NNNGO urge the Federal Government of Nigeria and Members of the Nigeria National Assembly to reconsider the NGO regulation bill and focus on creating an enabling environment for civil society in law and practice to maximise the sector’s contributions to national development and constitutional imperatives.